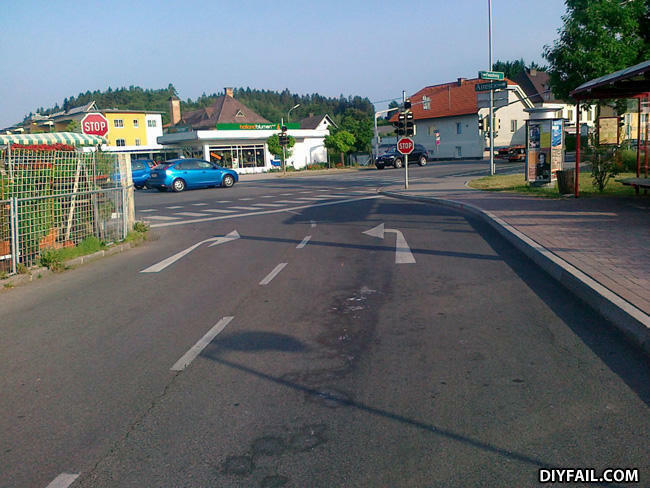 Typical road junction anywhere in Italy. it is just because of the curve radius for busses. its near my home... a bus lane.